This is an issue of The Kansas Star, a publication written and printed by the students of the Kansas School for the Deaf in Olathe, Kansas. 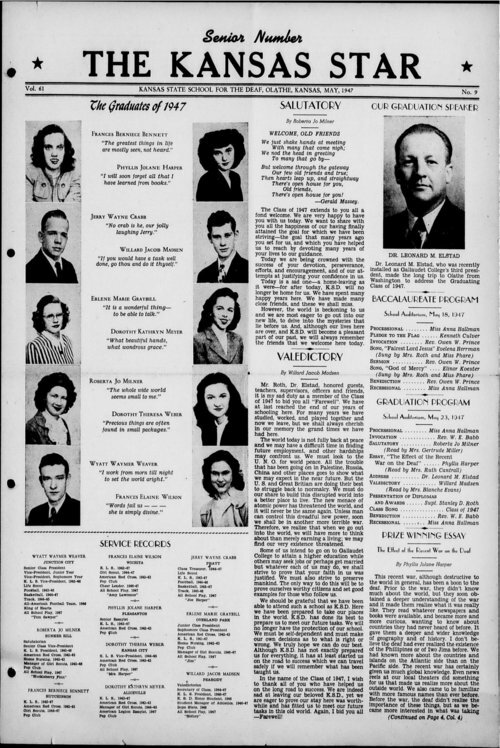 This issue includes news about the graduating class of 1947. The school opened in 1861 and has been known as the School for the Deaf since 1896.